Which Color Scheme is Right for Your Home? 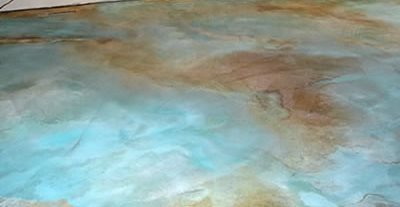 The colors of this residential floor were inspired by the ocean. 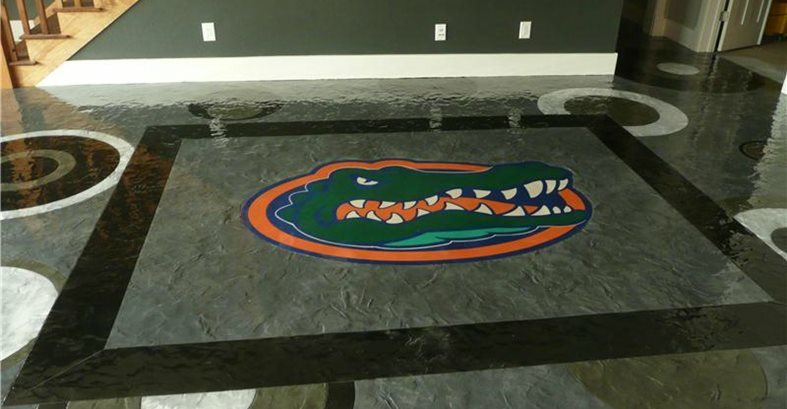 This basement floor features a color scheme based off of the client's favorite sports team. The colors used on this church floor symbolize the congregation's beliefs. 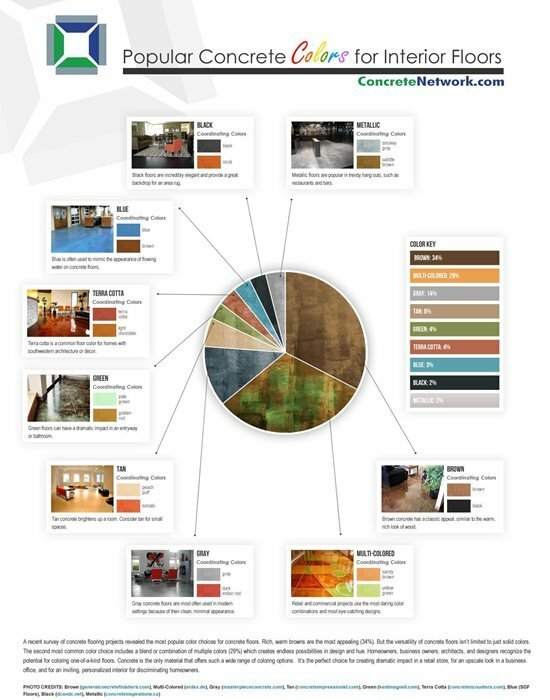 This infographic shows the most popular color options for concrete floors, based on a recent survey of decorative concrete flooring projects on ConcreteNetwork.com. How to design with color. Other building materials - granite, marble, wood, etc. Use Color Palette Generator to take any image on the web and instantly generate a dull and vibrant palette. Try playing with some of your client's favorite personal photos that they've uploaded to Facebook or Flickr until you find a palette they like. Browse the user generated palettes on COLOURlovers for ideas. If you sign up for a free account you can save palettes and create your own color combos based off of a single color or a photo. This tool is great for coordinating the color of the concrete with existing elements, such as walls or furniture. Browse our photo gallery to see what colors people have used for decorative concrete projects. You may even consider plugging one of these into the tools mentioned above (#15 and 16). Color choices will vary widely from client to client. Generally speaking, residential clients will pick safe, neutral colors, while commercial clients will pick something unexpected and exciting (see our Artistic Concrete gallery for ideas). You may want to remind your residential clients to keep the resale value of their home in mind - going too extreme may turn off potential buyers. 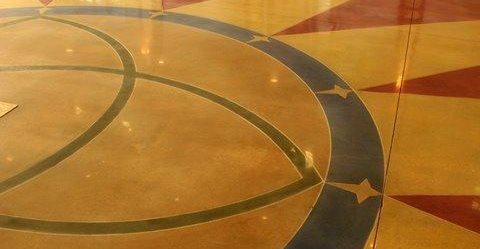 However, one of the best things about decorative concrete is that it can be personalized. Spend some time getting to know your clients and discussing color options. Give them a unique product with colors that reflect their personality, lifestyle or brand and they will be thrilled with the result. How do I pick the right stain color?